Secular historians and biblical critics often suggest that the seven-day week likely arose, originally, as a rough division of the lunar monthly cycle. However, the seven-day week is actually only 23.7% of a lunation, which means that a continuous cycle of seven-day weeks rapidly loses synchronization with the monthly lunar cycle. “This problem is compounded by the fact that a “lunation” is only the mean time for the lunar phase cycle, with each individual lunar phase varying in length. Also, the duodecimal (base-12) and sexagesimal (base-60) numeral systems have historically been the primary systems used to divide other chronological and calendar units. Therefore, it is not immediately apparent why the seven-day week was selected by ancient cultures, rather than a week that included a number of days that was a factor of these numeral systems, such as a six-day or a twelve-day week, or a week that divided the lunation more accurately using a factor of these number systems, such as a five-day or ten-day week. Finally, there are no historical Jewish or Babylonian records that confirm that these cultures explicitly defined the seven-day week as a quarter of a lunation.” (Link) It seems then like the seven-day weekly cycle is a most unusual or arbitrary division of time that is unrelated, compared to other more obvious divisions of time (month and year), on cyclic natural phenomena. So, which version of the history of the seven-day week is most likely correct? – that of secular historians and biblical critics? Or, that of the Bible itself? Why has a seven-day week been observed for so long by so many cultures? Why is this particular weekly cycle so popular? 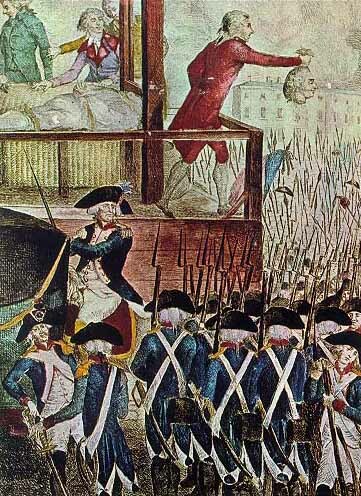 – compared to other more natural or “rational” options like the 10-day week that was attempted in France during the bloody French revolution and “enlightenment”? Well, for one thing, the idea that the Jews adopted the seven-day week from the Babylonians during their captivity some 600 years B.C. is at least partially based on the still popular but effectively falsified “Documentary Hypothesis” of biblical critics. Numerous claims of those who framed the Documentary Hypothesis, and of biblical critics in general, have been definitively falsified. For example, biblical critics once argued that writing itself had not been invented by the time of Moses. Of course, numerous 20th century discoveries have falsified this notion – such as the discovery of the ancient Ebla Tablets. Of course, the Ebla Tablets do not mention the seven-day creation week, or any other particular weekly cycle for that matter. So, maybe the critics are right for once when it comes to at least the origin of the seven-day week? Consider that if the biblical version is in fact the true version of history that God may have actually provided extra-biblical evidence within life itself of the true origin of the week? Wouldn’t it be most surprising, from the naturalistic perspective, to find seven-day rhythms within living things? Yet, this is exactly what has been discovered. Many living things, to include humans beings, experience seven-day, or “circaseptan” biological cycles. The relatively new science of chronobiology has uncovered some totally unexpected facts about living things, to include the most puzzling circaseptan or seven-day cycles experienced by many living things. Secular scientists find it difficult to explain how such a seven-day cyclical pattern would arise or evolve in living things by any natural means. Jeremy Campbell, Winston Churchill’s Afternoon Nap, (New York: Simon and Schuster, 1986), pp. 75-79. Specific examples of circaseptan rhythms in humans include: Reject of organ transplants, immune response to infections, blood and urine chemicals, blood pressure, heartbeat, the common cold, coping hormones, and even one’s mood or general state of mind. There is also evidence of a circaseptan cycle in the formation of tooth enamel (Link). There are also examples in other living things, such as the algae Acetabularia mediterranea (popularly known as mermaid’s wineglass) that shows a seven-day growth cycle or Brazilian bees that observe a seventh-day “Sabbath” rest cycle (Link). If the seven day week is an invention of culture and religion, as most historians would have us believe, how do we explain innate circaseptan rhythms in “primitive” algae, rats, plants, bees and face flies? These forms of life have no calendar and can’t read the Torah (Link). There is even evidence that being in or out of sync with the circaseptan cycle may have an affect on longevity. Consider, for example, that the life spans of the face fly Musca autumnalis or the springtail Folsomia candida are markedly longer when oviposition shifts are allowed to be carried out at intervals that are 7 days apart (Link). There is, however, research suggesting a lunar influence on various circaseptan cycles (Link). But several other experiments have shown an intrinsic or endogenous quality to circaseptan cycles that is apparently independent of any external influences – to include that of the lunar cycles (Link). It does seem, however, that these endogenously derived rhythms are able to respond to external influences (such as circadian influences of day and night or the lunar-induced tides). What is especially interesting is that the circaseptan rhythm, among all the other circadian rhythms, appears to be the one rhythm by which all others are tuned or orchestrated. The endogenous nature of the about weekly (circaseptan) rhythms is shown by their occurrence in animals kept under laboratory conditions precluding circaseptan periodic input, their appearance as circaseptan reaction pattern after noxious stimuli, or introduction of an antigen, and in human subjects by the observation of their free running (rhythms that are not synchronized to environmental time cues) with a frequency different from the calendar week. It appear that our seven-day week, which is found in many ancient and modern civilizations including the three main monotheistic religions, may be an adaptation to an endogenous biologic rhythm rather than the rhythm being a societally impressed phenomenon. Again, given the historical reliability of “higher” biblical critics compared to the fact that the Bible’s claims about history have proven true time and again, combined with the internal evidence for circaseptan rhythms within ourselves and many if not all living things, is it really such a stretch to imagine that the Bible might be right yet again regarding the Creation Week and the Sabbath rest given to us by God from the very beginning of life on this planet? Consider a situation where someone (the God of the Bible in this case) claimed to have created a given cyclical pattern of time specifically for our benefit (i.e., “The Sabbath was made for man, not man for the Sabbath – Mark 2:27). This is a testable claim. Given the truth of such a claim the implication is very direct and clear. Obviously, in such a situation one should actually expect to find some sort of biorhythm(s) that is tuned to this particular weekly pattern. One should also expect that if one did not follow God’s advice on following this pattern (given that God actually exists and is in fact our Maker), that one would be able to notice a physical difference in one’s general well being when in or out of line with God’s claimed ideal pattern for the weekly cycle. In other words, God has presented a testable hypothesis or claim to us that we can actually test in a scientific, potentially falsifiable, manner. Perhaps there is a reason why Seventh-day Adventists are the longest lived ethnically diverse group of people in the world (Link)? It’s like being told to use a particular fuel for your car for optimal performance – by the car’s designer. You can expect some sort of actual physical difference if you don’t use the particular type of fuel you were told to use by the car’s creator. Sean Pitman is a pathologist with subspecialties anatomic, clinical, and hematopathology. He trained at Loma Linda University through an army scholarship, completed his fellowship at the City of Hope National Medical Center, and is currently working in Redding, California. His passion outside of medicine and family is reading, writing and given talks about God's Creation (www.DetectingDesign.com). OK, I really liked this article but what about testability of this theory. Are there organisms that follow different cycles? So, to what extent this theory can be applied to the rest of biological world? Good question, but it seems like pretty much every living thing that has been evaluated in detail so far (to include microorganisms like bacteria) shows not only a circaseptan cyclical pattern to various biological systems, but that all, or at least many, circadian cyclical biorhythms within a given organism seem to be somehow linked or orchestrated relative to the organism's central seven-day or circaseptan rhythm - which is a completely unexpected and most surprising finding from a naturalistic perspective. "A particular function of the body may have a spectrum of rhythms with a dominant frequency that is very different from the dominant frequency of the spectrum of rhythms in another function, perhaps widely separated in space. Yet no matter which frequency component is the primary one in any given function, all rhythmic systems of the body probably possess an innate circaseptan frequency so that when they cooperate to perform a specific task which is body-wide, say, an immune reaction, the reaction occurs on a weekly schedule. "A central feature of biological time structure is the harmonic relationship that exists among the various component frequencies. A striking aspect of this relationship is that the components themselves appear to be harmonics or sub harmonics, multiples or submultiples, of seven, a number that has played a disproportionately large role in human culture, myth, religion, magic and the calendar." Franz Halberg, "Quo Vadis Basic and Clinical Chronobiology: Promise for Health Maintenance," American Journal of Anatomy 168:543-594 (1983), pp. 569-570. Very educational piece. Thank you. Hi! Please can somebody enlighten me on the naturalist and supernaturalist and what they entail in the creation of God. Naturalism is the belief that all objects, events, and even values can be fully explained as being "natural events" or being caused by "natural" events. Nature is regarded the one original and fundamental source of all that exists nothing exists beyond nature. The idea of a Creator God is explicitly rejected by naturalism. This is the basis of most modern science. By contrast, a belief in a Creator God is considered supernaturalism, since God is regarded as being outside of and above (super) nature. From a practical standpoint, scientists can really only investigate nature. However, when scientists claim that nothing exists beyond nature, they are making a philosophical claim that cannot be proven and is thus not scientific. Quite clearly, Sean Pitman believes that there is a Creator God, and that we can find evidence of His activity by studying His creation. That is what many great scientists of the past believed. Examples are Francis Bacon, Robert Boyle, Isaac Newton, Michael Faraday, Johannes Kepler, Louis Pasteur and many more. Wow, understanding this post is so important to our fundamental beliefs! Not just as it relates to the Sabbath, the findings of the Ebla Tablets are significant artifacts that help confirm the credibility of the Bible itself. Thus, by undermining the 7-day week critics are often disregarding biblical truth altogether. Additionally, the presence of the circaseptan rhythms show us that God has left nothing to chance. Thanks for sharing this information and breaking this historical and scientific data down in layman's terms. Thanks for your article. I wish I could understand its significance, however. Without synchronicity with the weekly seven-day cycle what would be the conclusion. It seems this would be more an argument for every day can be Sabbath based on the beginning and ending of each individual's circaseptan cycle. It would seem that each creature's cycle would have to be calendrically identical to avoid such a conclusion. After all the commandment to rest on the seventh day included even the livestock (Exodus 20:8-11). This command would seem to indicate that if circaseptan cycles had any relation to it then they all must be identical as to the exact day that is the seventh. I suspect from your description that this is not the case. If I am wrong, please enlighten me. I believe Stephen Terry missed the larger point, i:e the rationale for the existence of the 7-day week. Which day is the Sabbath has already been established. Since the Fall from Eden various cultures have forgotten God's commands and have observed various weekly cycles and have no doubt influenced the animals in their care to alter their own weekly cycles accordingly. There is also the issue of migration across whatever the original "international date line" was - which would alter the actual "seventh-day" for certain individual vs. others who had migrated in the opposite direction or not at all. And, there is the issue of being isolated from external circadian influences of cycles of daylight and night time. Without external influences, circadian rhythms run at different speeds for different individuals. Therefore, while the circaseptan pattern would still remain, this pattern would not necessarily be in sync between different individuals (Link). There are some animals, such as remotely isolated species of Brazilian stingless bees, that do observe the same "Sabbath" rest that we do - on the same 7th day (which is interesting, but almost certainly just coincidental). In any case, the main point of the article was that the seven-day cycle is still maintained, in some form, within all living things so far analyzed for such circadian rhythms. Such circaseptan rhythms are completely unexpected from the naturalistic mindset since they do not related or mirror any external rhythm of nature, but are entirely internal rhythms as far as we can tell. Wow, i find it really interesting that animals (referring to the stingless bees you have mentioned above) can obey their maker without questioning. It's a shame that man, made in God's own image, finds it so hard to believe what God has put in place. Indeed, but our faith need not be blind faith. The Bible actually encourages us to rest our faith on the weight of evidence that God has made available to us. And, if there is no valid "justification" for your faith, upon what basis do you believe what you do in conflict with the many options for faith available? In other words, why are you an Adventist rather than a Latter-day Saint, a Mormon, Catholic, Buddhist, or Hindu? What makes your faith more credible or what value is there to your faith vs. that of others which would be worthwhile to share with the world? I'm an SDA because what this organization offers that I find interesting and fullfilling to my beliefs and ability to rationalize. If I found moral, interesting and logical that 72 virgins is the way to go in an afterlife, perhaps adventism would be the last belief I would give in to. Adventism, besides being one of the strictest at present day doesn't offer many earthly and carnal rewards. It is a belief of following Christ, a path of sacrifice and a path of self denial. But overall, it has been one of the most satisfying experiences for me as a living, logical being; a belief where I can grow mentally and spiritually and where I can connect with a Creator that has taken human form to be understood by us in the best posssible way. This belief has made me understand the human experience in the best possible way. I studied world religions in university and analyzing them from an unbiased, agnostic view, not from an SDA point of view, they offer far less explanations, common sense and logical reasoning for the existence and occurence of all we see. All beliefs or religions may have some good points, but many lack all details necessary in a logical interpretation of God and His revelation to humanity. Although adventism has its shortcomings and has a long way to go in making additional progress and improvement in many areas it is by far the most inspiring and uplifting for me. Perhaps a Mormon, a Hindu, a Bhuddist or a Muslim could say the same thing, but then one would have to see what the final motive is.. logical, carnal, materialistic, eternal or a ridiculous combination of some or all of the above, twisted into a religion by the human mind? Religion without reason can become very dangerous (leads to fanaticism and zealotry(sic) etc.) as believers in Christ and in view of the Great Commission, it is important that we also have an intelectual undserstanding of the basis of our faith. God in His infinite wisdom has left for us evidence in nature that sheds light as to His creative mind. Understanding that lays the foundation for solidifying our faith in Him and a basis for sharing our faith with others. The central objective of scientific study should be to reveal the Glory of God and the theory discussed herein of the life system rythms is doing just that (at least for me). Prayerfully studying nature will reveal God's chharacter to the Bible student even without going into a laboratory. If precise laboratory studies reveal what the Bible has already shown us, then I glorify God for the lesser light of nature that is leading me back to the Greater Light of God's Word. Take note that its only the sabbath that diferrentiates the true follows of God's law and keeping His faith that merit eternal life. we cannot just sit and say "provided that we believe" no i say thats a devil's lie. keep His commands and believe in Jesus. This subject has been a blessing to me as it relates to the 7 day rythm that God has put within the universe and even our own bodies as well as lower animal life. It all makes sense to me. It is a scientific fact that something happens to our bodies when the sunsets on Friday. Many of us are not fuctioning properly and dying earlier because we are off beat with the 7 day rythm of the this world. I do agree that we can learn from the animals who obey God without a fight. More animals were saved than mankind in Noah's day! We can learn from the animals! This was a blessing. Any deeper explanations that we are blessed to be privy to can and do serve to deepen and strengthen our faith and our willingness and ability to blindly trust what other things we do not yet fully understand about God. Consider that I’m presenting three different arguments at the same time. One argument is that there appears to be this intrinsic genetically-coded rhythm in all living things that is based on a 7-day cycle. That, by itself, is quite surprising and non-predictable form a naturalistic perspective – but not from a Biblical perspective. After all, it was only the Bible that proposed, long before the circaseptan science came on the scene, to explain the origin of this 7-day rhythm as a creative act of God. The Bible also tells us how to best take advantage of this 7-day pattern by working six days and resting on every seventh day (my second argument) and that this work/rest cycle was given to us for our benefit (“The Sabbath was made for man”). In addition to this, the Bible claims that the original order of the days is important to God as a symbol between him and his people of their allegiance to God and he promises an additional supernatural blessing on those who strive to keep holy the true Sabbath day of his original blessing (my third argument). In my opinion, these are all testable statements. The weekly cycle, by itself, has been shown to have intrinsic elements or biorhythms within all living things (first argument). If certain things are done in accordance with this pattern, living things function better (to include a lengthening of life for different kinds of creatures). On top of this, adding a “Sabbath” day of rest every 7th day appears to be beneficial to mind and body regardless of the actual 7th day chosen for rest – be that day Sunday or Saturday or Friday or whatever 7th day is chosen (second argument). So far, I don’t think there is very much disagreement with these arguments – even within the scientific community at this point (given the new information on circaseptan biorhythms within humans and all other living things and the general benefits of resting mind and body one day a week). But, beyond this, it seems to me, from my own personal experience and the experience of certain key individuals that I have known, that if one strives to keep Holy the Biblical 7th day in particular (i.e., the Sabbath of the Jews or Saturday), that God actually gives such an individual an additional supernatural blessing (third argument). Now, I’m sure that many will scoff at my last proposal. But, don’t be too hasty if you haven’t tried it out for yourself… If you haven’t actually tried to keep the Biblical Sabbath, Saturday, holy as the Bible describes. I think that this element plays a role in explaining why Adventists, among all ethnically diverse peoples of the world (to include other groups of people who try to be religious, healthy, and even vegetarian) live the longest and are generally the most blessed ethnically diverse group of people in the world. I prefer to be somewhat cautious about the research on circaseptan cycles. I have read some of the research reports, and while interesting, they are not at this stage compelling. Most of the research is about 25 years old, and lacks corroborative research. I am reminded of some of the claims made about circadian cycles some 30 years ago. Many claims were made but in the end they lacked the support of clear scientific evidence. It appears on the evidence that circaseptan cycles do occur in nature, but there is insufficient information about research into causality. Further, I am not sure that the cycles are synchronised. Lack of information does not imply they have a supernatural origin. It is certainly worth finding out more, but I would not at this stage base an argument on the evidence. I appreciate your thoughts Maurice, but am somewhat confused by them. I may not be looking in the right places, but I'm really curious as to how you would explain what seems to me to be a fairly large number of scientific articles that have been published in what seem to me to be fairly reputable mainstream science journals? - to include a sizable number of articles written within the last 5 years touching on the topic of circaseptans? articles claiming a truly endogenous component to numerous different circaseptan cycles within many different life forms? - a circaseptan component to certain biorhythms that is entirely unrelated to human societal behavior or other extrinsic natural phenomena? "The germinal original study documenting the built-in nature of the multiseptans was the free-running for several years of the circaseptan and circasemiseptan components in the urinary 17-ketosteroid excretion by a clinically healthy man after the self-administration of androgens while he continued to follow a 7-day synchronized social schedule, now complemented by the superfused pineal in vitro in an oncologic context. That there is a spontaneous endogenous component thus had been shown in 1965: cycle after cycle for over 100 cycles, the breakdown products of reproduction-related steroids, almost certainly coordinated by the pineal exhibit a natural about-weekly frequency of their own, differing from the societal week, and also differing, as subsequently shown, from any tested circaseptan component in cosmogeomagnetics." In this paper Halberg cites numerous other earlier experiments along these lines. How are these observations explained? How are specific observations of historical events invalidated simply by their age? Maurice has since explained to me that he was initially unaware of the existing volume of scientific research when he published his comment (above) - to include current research on the topic of endogenous circaseptan biorhythms (published within the past 5 years). He is now in the process of reading through some of these papers to evaluate them for himself. 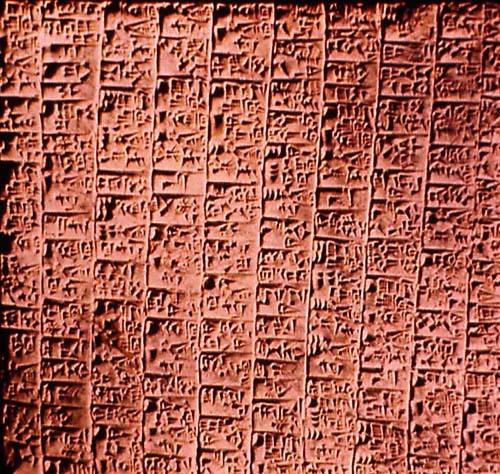 "The Ebla Tablets, written some 2200 years B.C." Please share whatever you might know re that one particular! Also, if you happen to have a link to a good source where I may see copies of the Ebla Tablets and of good English translations of the same? Please? "The tablets, which were found in situ on collapsed shelves, retained many of their contemporary clay tags to help reference them. They all date to the period between ca. 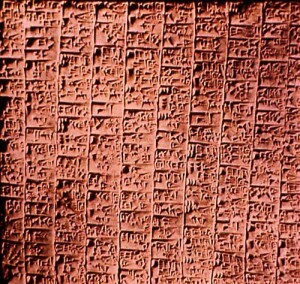 2500 BC and the destruction of the city ca. 2250 BC."